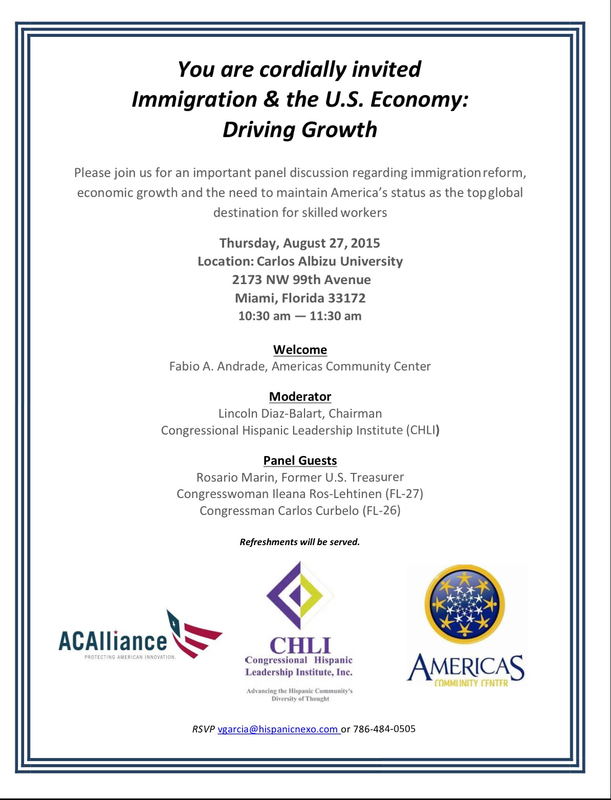 In a time in which immigration is on America’s mind, former U.S. Treasurer, Rosario Marin, Congresswoman Ileana Ros-Lehtinen and Congressman Carlos Curbelo will be coming together in Miami for a panel discussion on the importance of immigration to the economic growth of the United States. 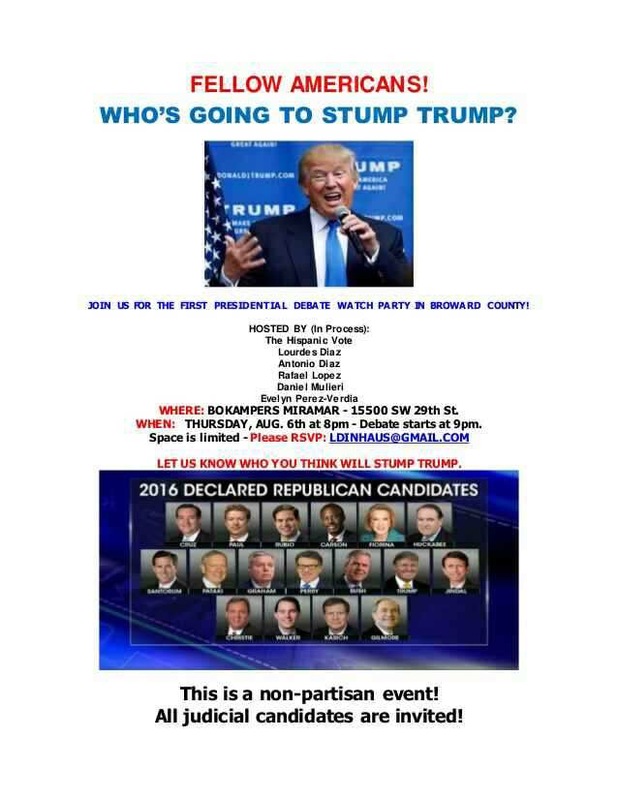 The panel will be moderated by former Congressman Lincoln Diaz-Balart. The welcome will be given by Colombian-American Community Leader, Fabio Andrade. The event is sponsored by: AC Alliance, The Congressional Hispanic Leadership Institute, and Americas Community Center. To attend, please view the information below. The Florida Democratic Party is seeking communications professional to serve as Press Secretary and Director of Hispanic Media for the 2016 campaign cycle. This position will assist the communications director in the day-to-day responsibilities of the communications department and will oversee Spanish-language communication for the Party. This will include on-the-record conversations with local, state, and national media, and the drafting and translating of press releases, op-eds, and social media content. The job will be based in South Florida with frequent travel to Tallahassee and statewide.